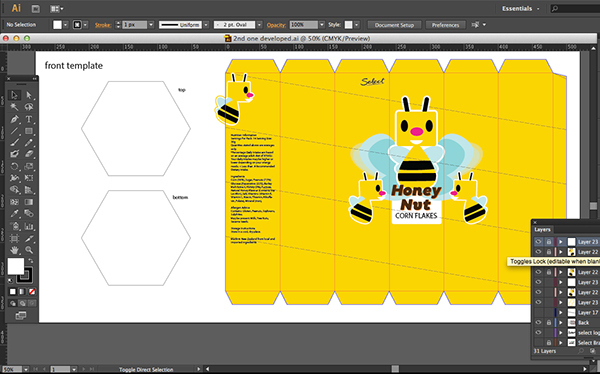 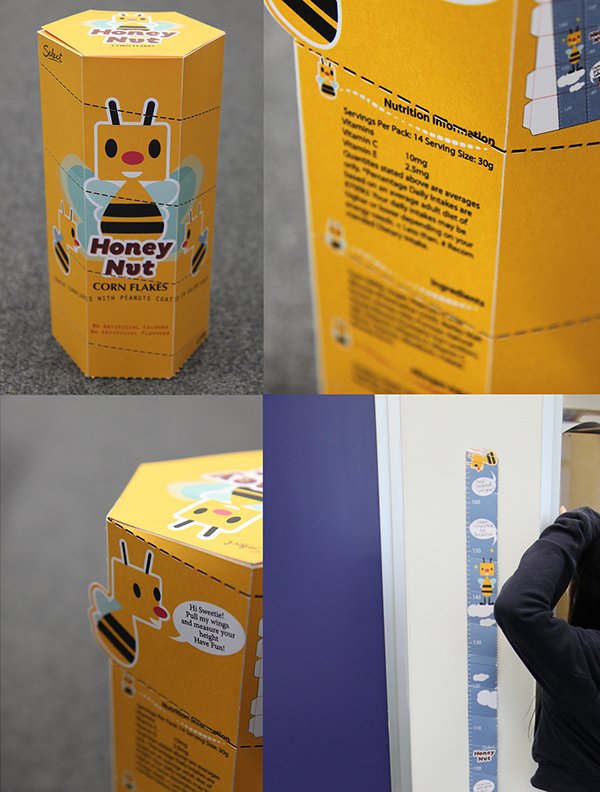 The new design box of Honey Nut Cereal is aimed to be a green design, it uses less materials than the original box. 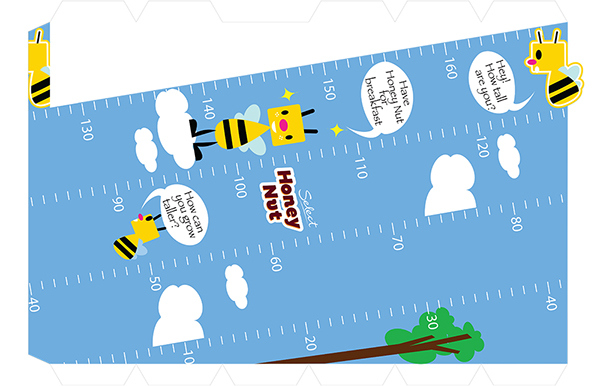 It is designed to consider the afterlife which is a Height Measurement. 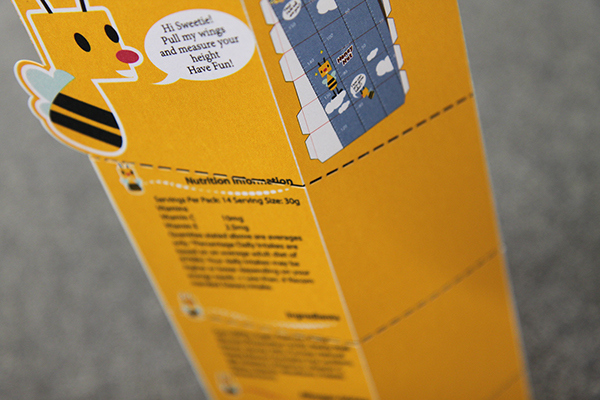 It is usable for a long period of time and also advertises the brand and product while it sits on the users wall. 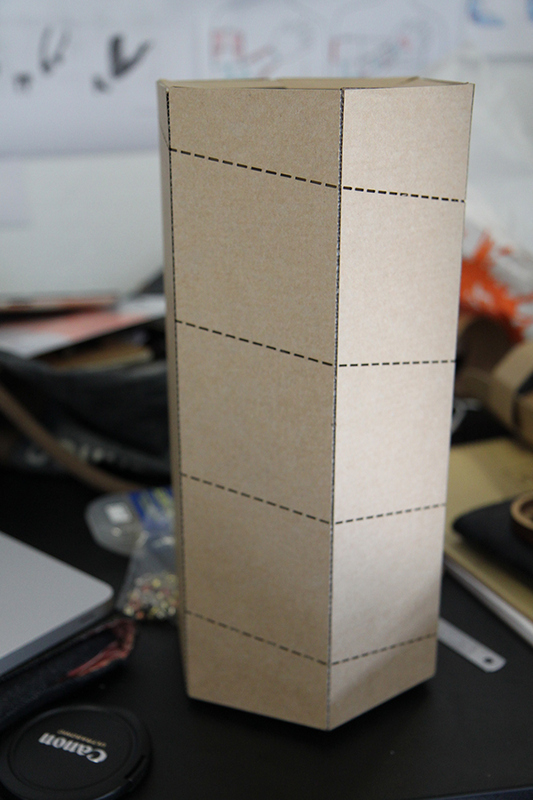 Who wants to jam with me? 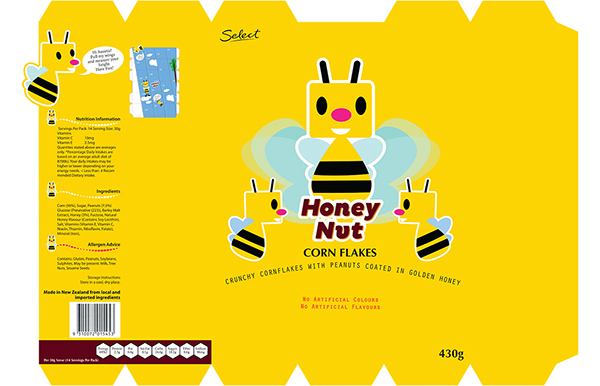 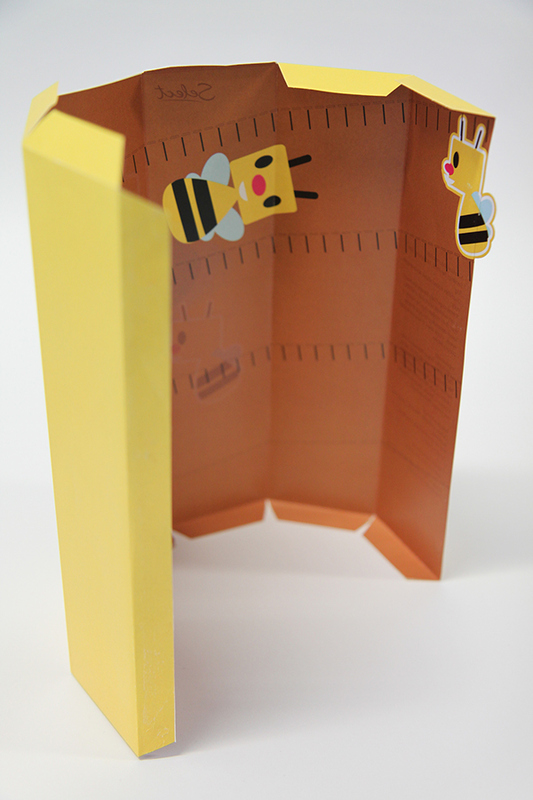 This re-designed cereal box was for Honey Nut corn flakes. 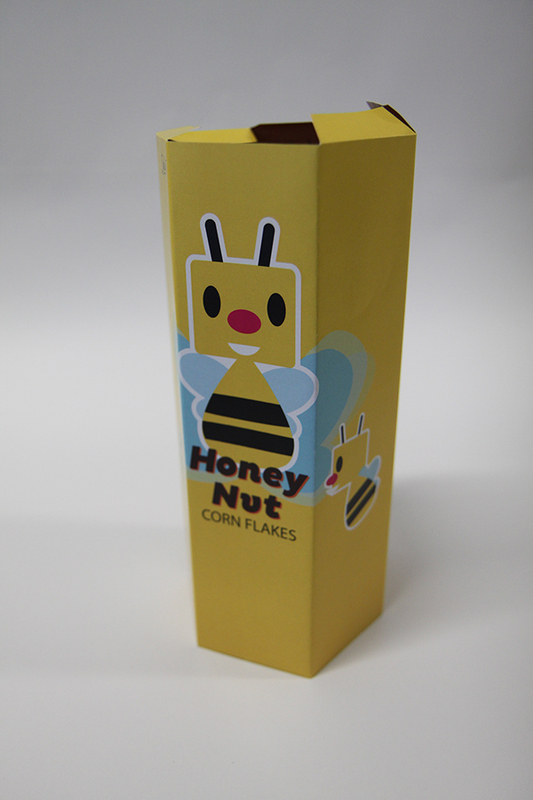 There were two main approaches taken in the project; one was to minimalize materials used to just paper, and the other was to create an interesting shape for the cereal box rather than use the normal rectangular shaped box.